Shibuya is a great place to visit if you are ever in the neighborhood. It offers a wide range of stores and restaurants to suit any taste. With the great scenery around Shibuya, it is a place that you can’t miss. So here are 15 of the best things to do in Shibuya to enjoy the bustling hotspot. Shibuya Crossing is the place you want to visit if you want to see the crazy crosswalk in Shibuya. This might be the most famous scenery of Tokyo around the world! It is a great place to see the busyness of Shibuya in one spot. Galu fashion is very popular at the moment. Be sure to keep up with the latest trend at Shibuya 109, because Shibuya 109 contains mainly Galu fashion stores. You will see lots of cute girls shopping in this building. There are many good Izakaya around Shibuya, but one of the best would probably have to Sanchokuya Taka which offers great food and a great atmosphere. Note that you will need to create a reservation in advance. Sanchokuya Taka is a place to enjoy Japanese sake so you have to be able to drink it. 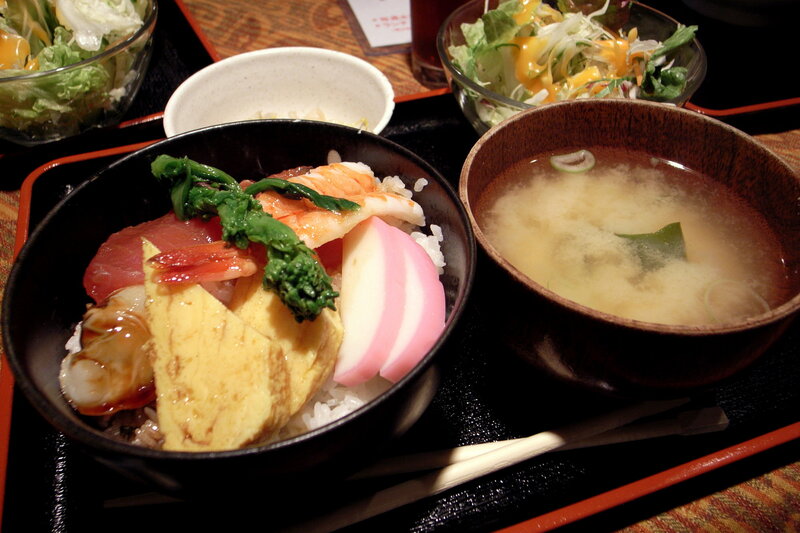 Their food is is intended to enjoy with sake. Nonbei Yokocho is also a great place to find a “calm oasis” in Tokyo’s busy streets and centers. They offer heaps of little Izakaya in a sort of backstreet alley type fashion. They are the perfect place to visit to see the entirely different side of Tokyo. Center Gai is a popular Japanese young person spot because of its vast amounts of brand outlet stores, fast food chains and nightclubs. On Halloween, Center Gai is filled with people with creative costumes. It is definitely a must see sight. Tokyu Hands is full of wacky and exciting products. In Tokyu Hands, you can purchase everything you can think of; from cutest interior decors to tiny little metal parts for DIY. Bring some back for friends and family to show off the interesting part of Japan. Cat Cafe are a great way to look at heaps of cats and to pet them. Cat Cafe MoCHA is full of cute cats for you to pet and play with. It is a great way to see cats if you love them. Manga Cafe is a great way to catch up on your favorite manga or just start a reading a new series. They offer heaps of different kinds and most even offer computers and private rooms. There are many things to do at a manga cafe and not just reading manga. Take a purikura sticker photo at an arcade. Purikura Sticker machines are big photo booths where you can add cool little virtual stickers to the photos you take in the booths. Purikura are a popular thing to do with the young generation in Japan, especially high school girls. They are a cool way to keep memories. Shop for electronic devices at LABI or BIC CAMERA. Both offer a broad range of thing to purchase such as phones, cameras, TV’s and more. They usually have great deals too. Wanting to find the music from your favorite band or artist? TOWER RECORDS has a huge range of music to choose from. You can find pretty much any genre inside. Shibuya’s Disney Store offers a large range of licensed Disney products. The store itself even looks like something out of a Disney film itself. Katsu is a conveyor belt sushi restaurant that is one of the best in Shibuya. They offer delicious, fresh sushi constantly and at a reasonable price. But please be prepared to line up and wait as they are very popular. They take reservations for certain period of time during the day. Want to buy the latest fashion items? Or get something to eat? Department stores are the place for you as they offer everything you could want. In Shibuya, there are two big department stores, one is Seibu Shibuya and the other is Tokyu Department Store. Both has more than 8 stories of shops plus basement of Depachika, a delicious food heaven for foodies! For more information, please visit their websites. The view from Bellovisto is extraordinary. They offer a large view of Shibuya and at night, and it is a must-have experience. The Traditional Noh Theatre In Cerulean Tower. From Wikimedia. Cerulean Tower offers a Noh Theatre which houses traditional Japanese theater. Noh is often based on traditional Japanese literature, and it is a type of musical drama. Be sure not to miss this one as it will surely be a fun night out. Information in this article is as of October 2016. Refer to the official websites for the latest information.